– Grand Rapids, MI, from May thru October. The session is, on average, about 3 -3.5 hours. PLEASE NOTE: No foundation, tinted powders or MOISTURIZERS, skin serums, or eye liners, brow liners, mascara, lip gloss/balm, etc. Naked face! Applying moisturizer on the day of your appointment will cause light reflection on the face, which is one of the optical effects we use to do determine which drape is better. Will a Tan Affect My Result? Yes, it can. It is best to keep your face out of the sun for a month prior to your PCA. Using sunscreen won’t keep the skin from tanning, so no sun is optimal. Glasses are usually removed; however, we can work around them if necessary. Contacts are fine if they are clear. If you have tinted lenses, let me know, as we use eye color effects during the analysis. These should be removed it at all possible. Yes, you can. However, if you wish to text or put them on social media, please do this after your appointment. Let me know if you need to bring children so we can discuss if it would be workable. This time is for you, so make the most of it. Where Do You Conduct the PCA? In Michigan, my studio is located in the lower level of my home. If you cannot climb a flight of stairs, let me know so I can make accommodations. In California, my studio is on the main floor. The Your Natural Design’s exclusively created PCA Guide will be used to record the drape choices throughout the analysis, plus notes, to help ensure the best result. There are two Personal Books of Color. One book is the “Classic”, the other is the “Corporate”. The Corporate book shows more fashion neutral colors for business. This is the book men will receive. One book comes with your analysis. If you wish to purchase the other one, you can do so for $80. Body Image Analysis – I will direct you to colleagues who offer this if you are interested. Once you have the right palette, cosmetics, clothing styles, and hair colors, your image will be complete. Appointments are to be paid for in cash only. 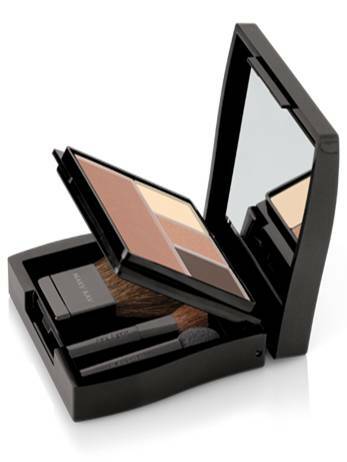 You can receive a FREE REFILLABLE Mary Kay Compact with the purchase of: 3 Eyeshadows, 1 Blush, 1 Lipstick or Lip Gloss, a blush brush and eye shadow applicators to fill it. The filled compact will be available for purchase in your seasonal tone. We can customize it to include your preferences. Choose the Compact Mini Compact Free with the purchase of: 3 Eyeshadows, 1 Blush, blush brush, and eyeshadow applicators to fill it. The filled compact will be available for purchase in your seasonal tone. This is a $57 Value for only $40. Cosmetic purchases can be made either in cash or by personal check made out to Terry Wildfong. 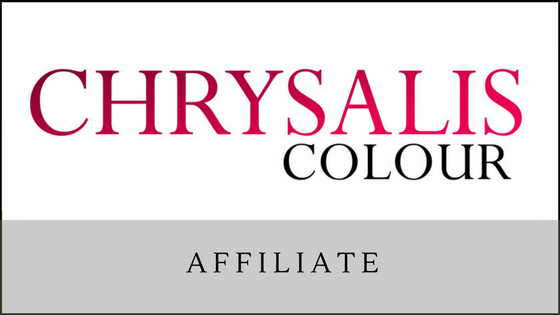 My clients can always purchase additional Mary Kay products at any time at 10% off retail pricing. You may bring up to 5 pieces of clothing such as shirts, blouses, etc., and up to 10 cosmetic items at no charge to find out if they are among your best colors during the appointment. Note: I will be happy to go through more than the 15 items listed above at a price of $75 per each 30 additional minutes, with a 30-minute minimum charge. Please bring several photos for review to see how your skin and hair color has changed over the years. Suggestion is one as child, a teen, and then one every decade thereafter. Bring a friend or family member to share your PCA experience. Let me know if you are bringing a guest, and I will give them neutral gray coat to wear to be able to observe the analysis. If you will be getting the cosmetic makeover, it might be a good idea to wear something somewhat neutral; i.e., navy, white, off-white, gray, black. Your cosmetic colors will be based on your seasonal palette. So, if you were to wear an orange shirt and we find you are a True Winter, which is cool, your makeup colors would be in the plums or reds, which would definitely clash with the orange. Wearing a more neutral-type clothing color will allow for warm, cool, or neutral cosmetic colors to look presentable. My studio can be quite cool or warm, depending on time of year. So dress in layers and bring a sweater or jacket and foot coverings if desired.